Ebola est indéniablement présent dans une minorité de pays d’Afrique de l’Ouest. Les actions humanitaires se développent pour endiguer la propagation du virus. 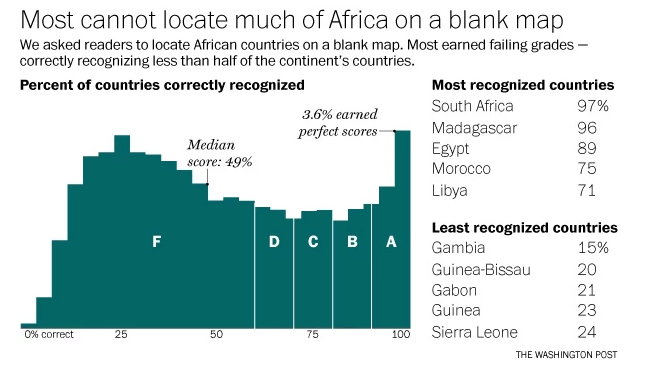 Nombreux aussi sont les pays du continent qui ne sont pas atteints par l’épidémie. Il serait dommageable que la peur ainsi que la méconnaissance du sujet, stoppent les échanges et la croissance générale enregistrée sur le continent. Ebola is a frightening, unpredictable disease. Nearly 5,000 West Africans have died from the current outbreak with more than 13,000 people thought infected. However, so far the problem remains largely limited to Liberia, Guinea and Sierra Leone. Two other countries, Nigeria and Senegal, have had cases, yet are now Ebola-free. The DR Congo had an outbreak of a different strain of Ebola that now looks like it might be contained. And while there has been one case of the disease in Mali, the patient died and no others have been confirmed at the time of writing — though that may well change. Despite clear geographical limits to the Ebola outbreak, many Americans seem confused. How else could you explain the recent Ebola scare that kept two children who had moved from Rwanda to New Jersey from attending school, despite the fact the East African country is Ebola-free (and further from West Africa than New Jersey is to Texas)? Or the resignation of a teacher in Kentucky due to a backlash to her traveling to Kenya? Or the significant cancellation of tourist trips to places like Kenya, Zimbabwe and South Africa? These countries are nowhere near the West African countries where Ebola is actually a problem. 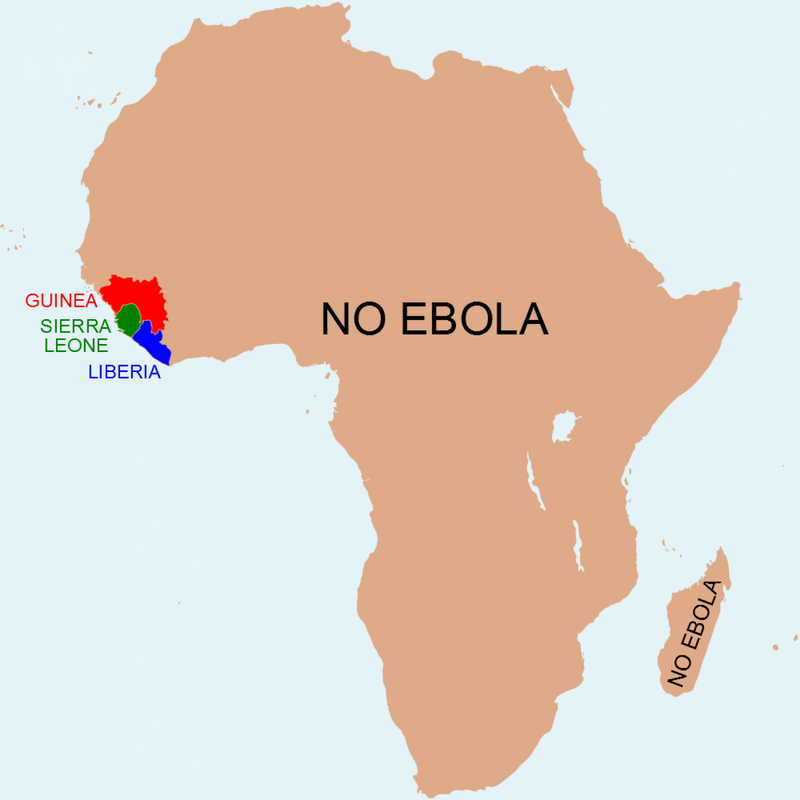 Frustrated by this, Anthony England, a British chemist who earned a doctorate at Massachusetts Institute of Technology and has spent a significant amount of time in sub-Saharan Africa, decided to make a map to help explain what countries currently have Ebola cases and which don’t. You can see the map above. England has some relevant back story here as well: « I used to run scientific conferences in West Africa, to make leading scientific researchers, and problem solvers in general, in the West all the more aware of the pressing concerns of the developing world, » he explains in an e-mail. While his company, Mangosteen, ultimately wound down almost 10 years ago, he now sees the Ebola outbreak as proof that the West needs to pay more attention to what happens in Africa. Ultimately, it was frustration that led England to make the map and share it on his Twitter account, which he uses to post information about Ebola. It has since spread around the Internet, with his initial postretweeted hundreds of times. Of course, there are some caveats to the map. England’s decision to not include Mali or the DR Congo, despite the fact neither have been declared free of Ebola, has caused some thoughtful criticism. England writes that he understands the criticism, but his point still stands: « There are only 3 problem countries, and the world needs to know that, » he explains. 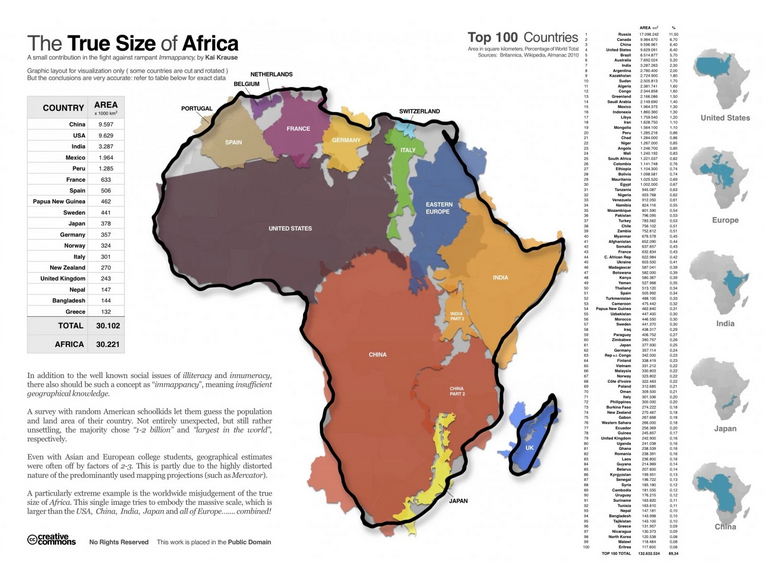 For added perspective, it’s worth looking at a map first published in 2010 by cartographer Kai Krause. Keep it in mind when thinking of Ebola and Africa.